Rep. Rashida Tlaib (D-MI) lashed out at Democrats -- not Republicans -- yesterday, in the wake of crticism leveled at Rep. Ilhan Omar (D-MN) for minimizing the September 11th, 2001, terrorist attacks, accusing Dem leadership, including Speaker of the Houes Nancy Pelosi (D-CA), of racism, and using Congressional colleagues of color as "tokens of diversity." She joined a number of Islamic activists on Twitter who were accusing Pelosi, who Tweeted that 9/11 was "sacred ground," of not doing enough to defend Omar against what they felt were unfair attacks over comments she made that "some people did something" on September 11th. Omar's comments were, it seems, meant to allege that Muslims across the globe have been discriminated against and mistreated in the wake of the September 11th attacks -- a point she was trying to use to justify her opposition to what she calls President Donald Trump's "Muslim ban," a travel restriction that prevents travelers from countries that actively sponsor and bankroll terrorist organizations from obtaining even temporary visas to visit the United States. Tlaib pointed out that several 2020 Democratic presidential candidates have called comments criticizing Omar "incitement to violence" -- a legal exception to the First Amendment's right to freedom of speech, and a punishable crime -- but that Pelosi has chosen instead to ask Trump and others to simply tone down their rhetoric. Tlaib also retweeted a post from Omar, essentially accusing Pelosi of the same, as well as a post from a "human rights activist," who doubled down. This isn't the first time Pelosi has failed to rush to the defense of her more vocal, progressive colleagues. 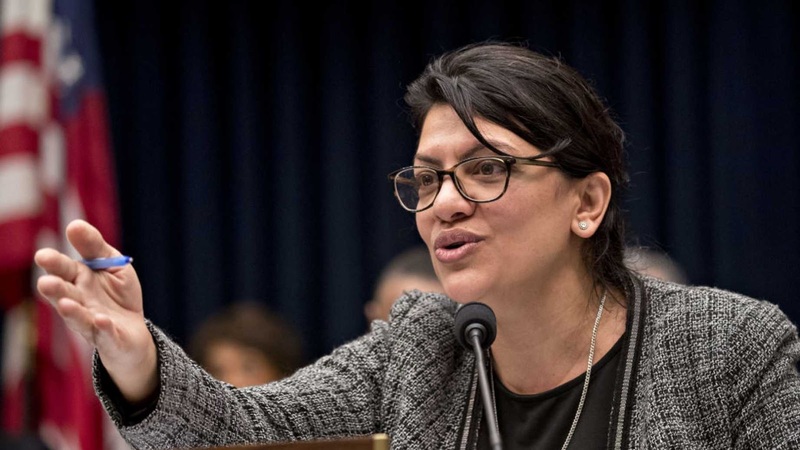 She has chastized Omar before for using anti-Semitic tropes in speeches, and accusing fellow Democrats of having "dual loyalty" to both Israel and the United States (Tlaib has also unleashed that particular smear on occasion). Pelosi also spearheaded an effort to censure Omar, which ultimately turned into a weaselly blanket condemnation of "all hate."